So I am on the low carb craze same as everyone else. I am struggling to make KETO tasty and to have variation. Salads get old. Quick. Here is a tasty, meatless option for you! YIELD: a fine tray of appetizers or dinner for 2 adults. 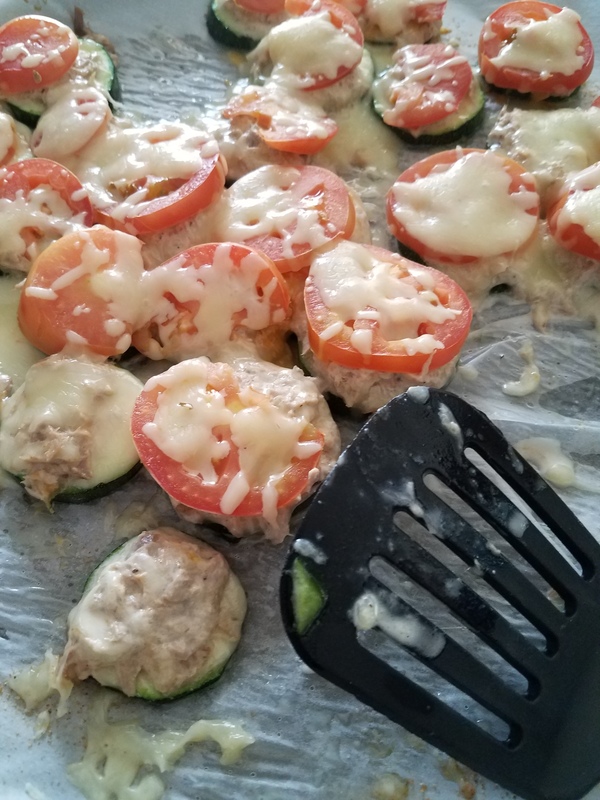 Place sliced zucchinis on a baking tray. Use salt and garlic powder to taste. 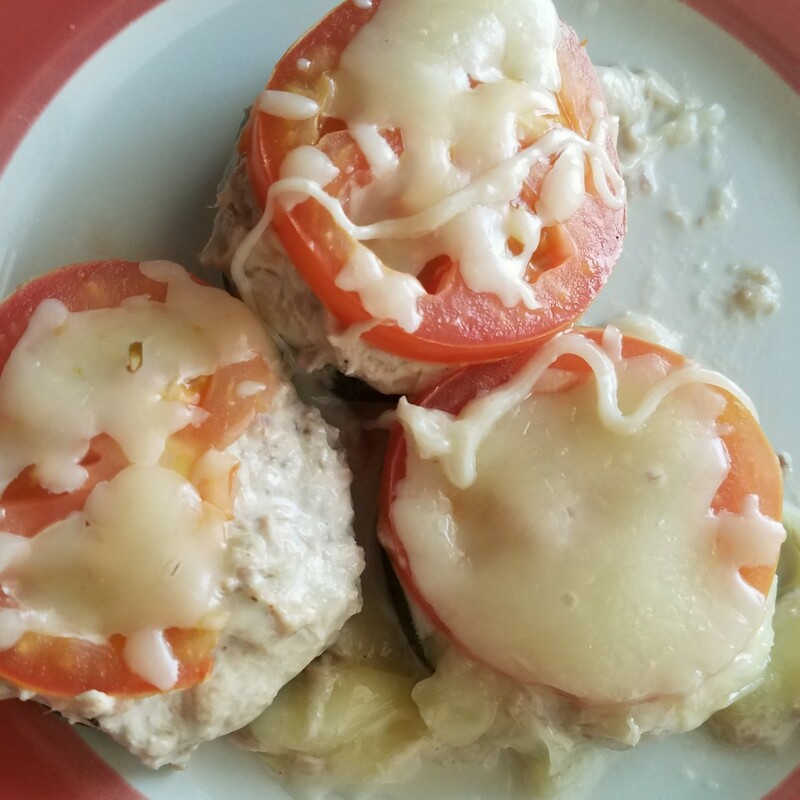 Make a salad with the tuna, mayo, mozzarella, and old bay. Top the zucchinis with the tuna salad. Bakes at 350° for 12 minutes. ENJOY! My kids even liked this recipe! Its a great way to combine interesting flavors, and I can’t wait to make it again!